Home Apple featured iPhone SE What Happened to Apple’s AirPower and iPhone SE 2? What Happened to Apple’s AirPower and iPhone SE 2? Where in the world is the iPhone SE 2 or Apple AirPower? The rumored 4-inch refreshed handset and Apple’s first wireless charging accessory both failed to make an appearance at the company’s WWDC ’18 keynote. In fact, besides a new Pride Edition Apple Watch band, this week’s onstage event was entirely devoid of hardware updates. Yesterday, we wrote about how fans should not be disappointed at yesterday’s lack of glitzy iOS 12 features or refreshed devices. But the lack of hardware at WWDC still begs the question of just when Apple’s new devices will launch. Take AirPower, for example. The company first unveiled the wireless charging accessory in September 2017. At the time, the apparent release date was “sometime” in 2018. Similarly, while Apple has never publicly confirmed the existence of an iPhone SE 2, several analysts and supply chain reports pointed toward a release date in the first half of the year. After all, it would have made sense for AirPower to debut at WWDC ’18. Even Apple HomePod, which was beset by a product delay, launched about half a year after its unveiling. Unless there are significant production issues, it doesn’t make much sense for AirPower to officially hit store shelves a full year after its announcement last September. There’s also the issue of an April regulatory filing with the Eurasian Economic Commission. The EEC filings hint toward a line of unreleased iPhones running iOS 11. Previously, an EEC filing from February correctly foreshadowed the release of the 9.7-inch iPad the following month. Because of that, and the fact that the iPhones in the filing are running iOS 12, they don’t seem to be related to this year’s rumored September lineup. But here were are, halfway through 2018 with no sign of the refreshed iPhone SE or Apple AirPower. When Will Apple Release AirPower and iPhone SE 2? When it comes to when these devices will actually launch, there are a few possibilities. For one, Apple’s September event could be uncharacteristically jam-packed. The Cupertino tech giant could launch four new iPhones, new iPad Pros, a lower-cost HomePod, AirPower, and a new suite of Mac hardware at the event. This, of course, flies in the face of Apple’s typical release timelines and previous rumors. Most reports indicate that the September lineup will be made up of three iPhones. Apple’s other devices, like Macs and iPad Pros, typically launch in the summer. There’s also the possibility that Apple could announce a surprise summer launch event — akin to its March education-focused event in Chicago — where it would launch new hardware. Apple could adopt a new strategy of product releases, with four keynote events throughout the year. WWDC could return to its roots as a software-specific event, placing the focus on quality software. The September keynote could be reserved for flagship products. It’s not “too late,” either. Apple began sending out press invites for the March event about a week and a half before it took place. This, of course, is speculation. But it’s within the realm of possibility. 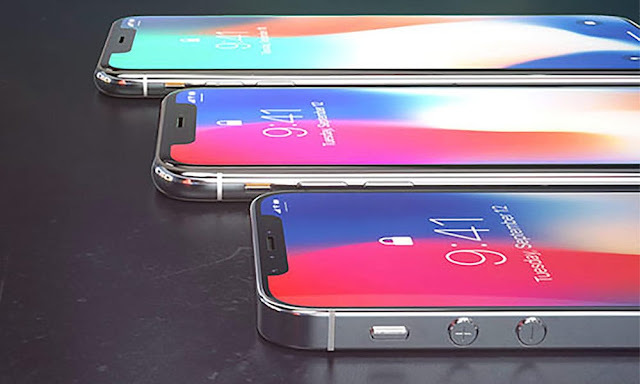 There’s also the chance that Apple could unveil the iPhone SE 2 and AirPower via press release sometime in the near future. This might be the most likely outcome, particularly for an accessory product like AirPower. The 2017 iPad was also unveiled via press release, alongside a small storage bump for the iPhone SE. If the press release came over the summer, it might also help Apple avoid cannibalizing sales of its low-cost LCD iPhone with the iPhone SE 2. It also lines up with the supposed EEC filing for the 4-inch handset. It goes without saying that we have no idea what Apple is actually considering. An impending release date for AirPower and iPhone SE 2 makes the most sense based on current rumors — but Apple doesn’t have to play by any rules for its announcements. Either way, we’ll just have to wait and see.